Takes standard 6805 bearings with plastic caps. Optional Big Steel bearings with rubber gaskets for those who don't like plastic. Bearings available in Chromium Steel, Stainless Steel or Ceramic Hybrid. 12 months for Stainless Steel bearings with CNC Storm Drains. Unscrew the two cups from the centre sleeve and ensure grease is applied to the o-rings (right around) and the threads (one stripe across is enough). Suitable greases include Slickoleum and Motorex Bike Grease 2000. 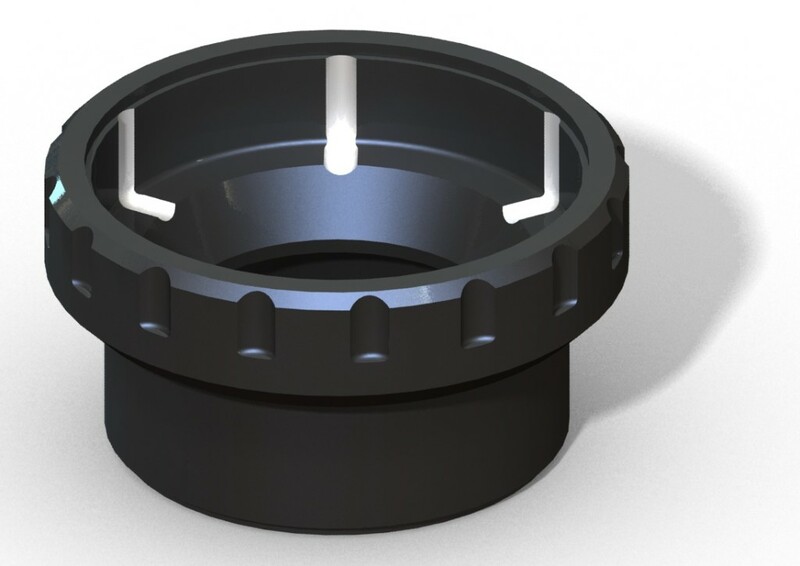 For MTB installation (89.5 or 92 mm wide shell) use one 4.5 mm spacer in one cup. Thread that side on the centre sleeve to trap the spacer in position. 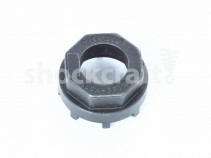 For road installation (86 mm shell) discard the internal 4.5 mm spacer. 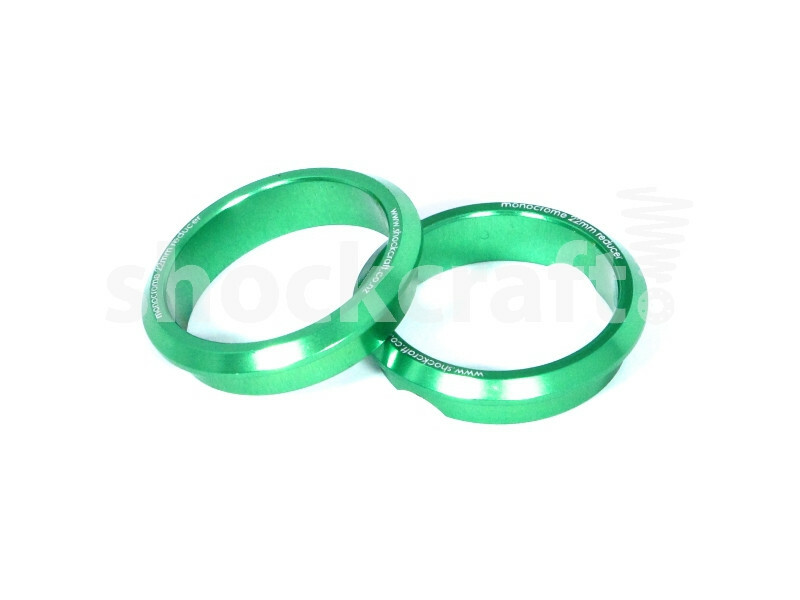 For GXP use with SRAM/Truvativ cranks install the 22 mm green Engagement rings into one cup. This is your non-drive side. For 89.5 mm shell you must fit a 2.5 mm spacer (purchased separately here) on the drive side (unless a 2.5 mm BB mounted derailleur or chain-guide is fitted in that location). Lightly grease the 41 mm diameter seating surfaces on each cup. Slide the cup with the attached centre-sleeve into the BB and use a soft-faced hammer (plastic, rubber or wood) to tap the edges of the cup to seat it square into the frame enough to start the engagement. Ensure the centre sleeve visible from the other side is concentric. Thread the other cup in from the other side with your fingers. Once it has engaged the threads and pulled up you can use a tool (IceToolz 11D3 or Park BBT-18) to tighten and pull both sides in. 40 Nm is the required torque. 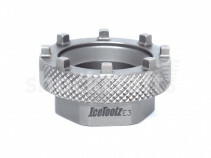 A 32 mm socket & torque wrench can be used with the IceToolz 11D3. There is no torque wrench fitting on the Park BBT-18. You can get a feel for 40 Nm by trapping the square drive end of a torque wrench in a vise and feeling the force required on a similar length lever. If the BB doesn't seat easily, it is better to remove and regrease before trying again. 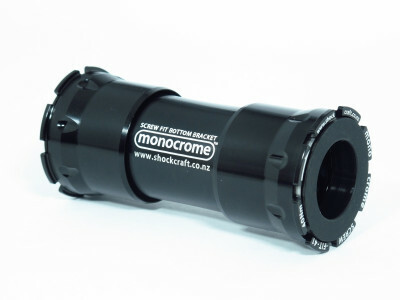 For those riding in wet conditions Monocrome Bottom Brackets are available with CNC Storm Drains. These water drains allow water to escape from the cup before it can corrode or enter the bearing. The drains are invisible once the bottom bracket cups are assembled. Big chromium steel bearings have a smaller internal diameter than the standard 6805 bearings, supporting the crank axle directly and removing the need for plastic sleeves. 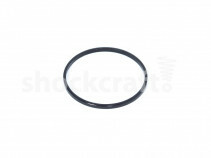 These bearings come installed with two gasket seals specifically designed by Shockcraft's engineer to fit the Monocrome Bottom Brackets and protect the bearings from direct contaminant entry. 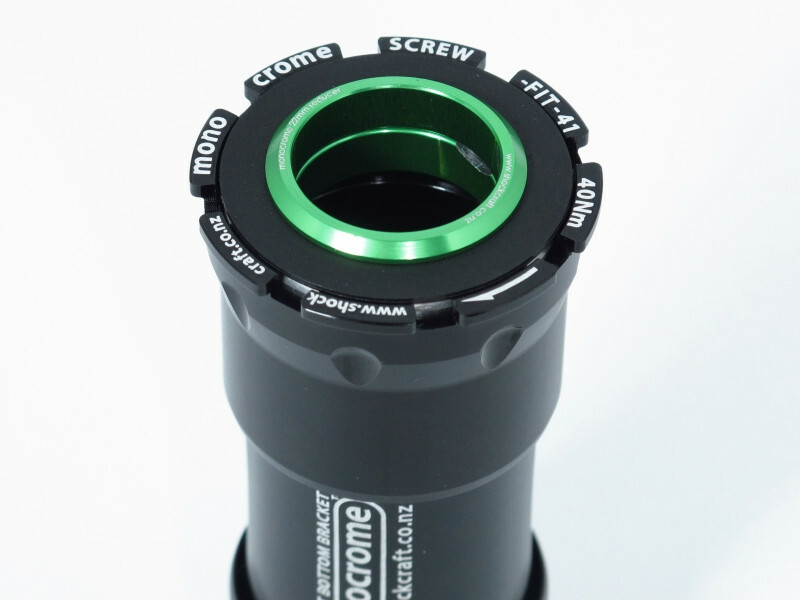 As with all MonocromeTM bearings, these bearings carry a special guarantee with a 6 month no questions asked replacement. Not available for GXP fitment. Chromium steel caged deep groove ball bearings. 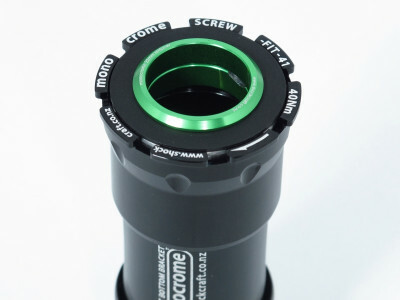 As with all MonocromeTM bearings, these bearings carry a special guarantee with a 6 month no questions asked replacement. Stainless steel caged deep groove ball bearings. When purchased with CNC Storm Drains these bearings carry a special guarantee with a 12 month no questions asked replacement. When purchased without the CNC Storm Drains the standard MonocromeTM 6 month guarantee applies. Ceramic hybrid caged deep groove ball bearings. Ceramic hybrid bearings have a conventional steel outer race but with ceramic balls inside. The harder ceramic balls roll a little easier, weigh a little less and the bearings have been designed to minimise rolling friction. 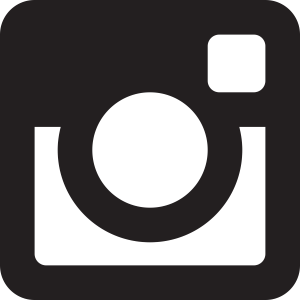 These are ideal bearings for those seeking higher performance and lighter weight.